At St Luke’s CE Primary School we want all children to be successful and reflective learners. We embrace the Secrets of Success by Chris Quigley (see attached) to help our children in their behaviour, attitudes and values and ultimately, in preparation for life as successful adults in modern Britain. 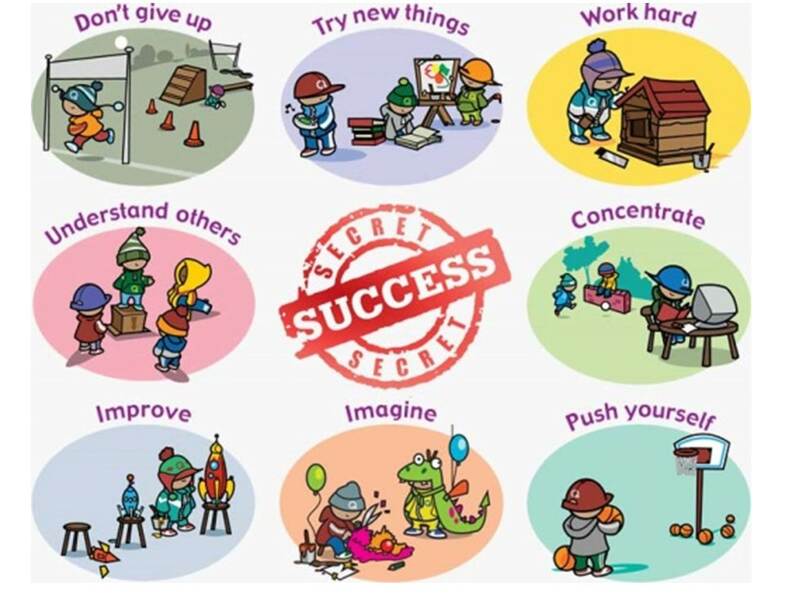 At St Luke’s, whilst at work and at play, children are encouraged to use the 8 Secrets of Success. The Secrets of Success are displayed in each classroom and are referred to throughout the day. Photographs and examples of work showing the children achieving in these areas are added to the display. Children are assessed against specific assessment criteria (not age related) in each of the 8 areas and will be working at either bronze, silver or gold level. The assessment criteria provides children with clear next steps for success in each of the areas. We ask that as parents and carers you support your child with these learning behaviours at home and if your child does have a star moment in any of these areas, class teachers would be delighted if you could fill in a star with a photo or brief description of the achievement, for them to celebrate and display in the classroom. Extra sheets of stars will be available in your child’s class and from the school office.